Before seven years ago I lived in Chicago (“up north” as we call it down here). Back then this time of year felt drastically different to me than it does now. It was – physically and energetically – a time of decease, decay, and retreat. It was a time I absolutely dreaded, clinging to the final sunny days of autumn in desperation all the while knowing the weather could pivot like a turncoat at any moment. Despite increased gatherings at the holidays, the beginning signs of social hibernation would set in as friends and family retreated more and more into the caves of their homes rather than venture outdoors. We were bracing for the long five-month winter’s onslaught, like a steel door slamming shut on life. That’s not my reality anymore, and I’m grateful. Grateful for so much. Grateful to have been given the chance to learn we each have the power and choice to create our own realities. Grateful for the ease and grace of Florida living. Grateful for the year-round closeness to nature and active outdoor lifestyle that comes with it. Perhaps most of all, grateful that a gentle passage from one season I love to the next I adore has allowed me to remain in thankfulness and appreciation all the time; and as a result has revealed the incredible, transformational, heart-opening power of gratitude. A few years ago I didn’t know that power. Since then I have learned it is one of the greatest and most direct routes to happiness because one thing’s for sure: dwelling in its opposite (thanklessness) certainly isn’t going to make you happy, nor will it get you what you want. Instead, when I’m feeling a little down or worried and noticing the treadmill of my mind revolving toward despair and lack (as it so easily can for any of us), I consciously change my focus, if even for a few moments. Yes, you could argue, I’m lucky, because a mere glance out the window makes it almost effortless for me to do so. The truth, however, is that it’s just as effortless to look outward as it is to look inward, so it’s not easy just for me to refocus. It’s easy for any of us to refocus on gratitude, anytime we want. Really, there are no excuses. Yet to do so successfully means starting small. When what you don’t have or don’t want is big, focusing on the small can seem insignificant. It’s not. 1) Are you breathing? Can you breathe without supplemental aids or portable oxygen? Feel gratitude for the flow of life through your body. 2) Are you mobile, even if it’s with the aid of a wheelchair, cane or mobility machine? Feel gratitude for the flow of motion through your body. 3) Who brings you joy? Spend a moment savoring the person/people. Feel gratitude for the flow of friendship and love through your life. 4) Do you have work that earns an income? Feel gratitude for the flow of money to your life and the flow of service from it. 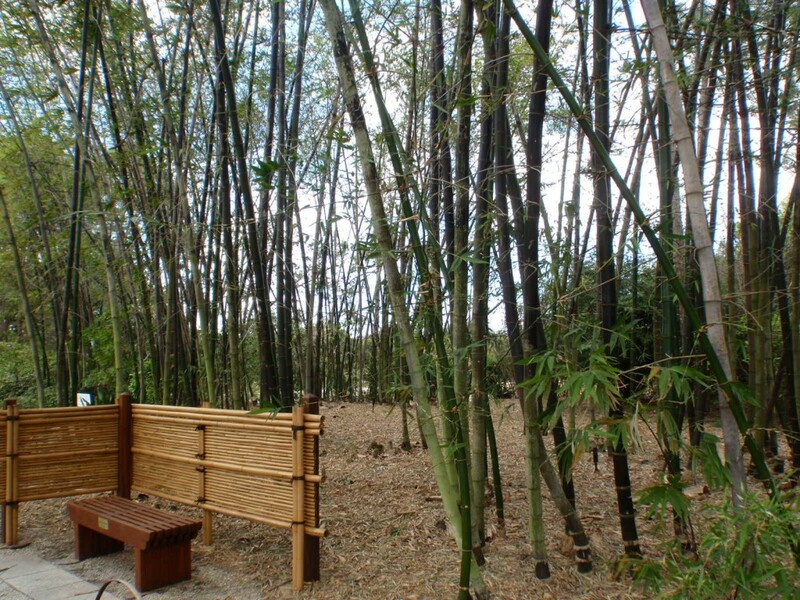 5) Finally, where is your life most abundant? Perhaps it’s in the area of physical health, financial wealth, friends, children, talent, creativity, or time. Despite times of lack, we each have an area of our lives in which we almost always feel abundant. Pinpoint yours, and be grateful for your abundance. In fact, write it down. Getting started is that easy. Actually, it’s easier, which is why this exercise is such an obvious crutch. Really, it doesn’t matter what you’re grateful for. All that matters is that you immerse yourself in the emotion of gratitude, then hold that space. Take a dip; swim around in gratitude for a while, won’t you? Then, let me know what follows, okay? In the meantime, I’m headed back outside to savor the blossoms and the butterflies and reflect upon how grateful I am for you, dear reader. Gratitude is one route to happiness, but there are many. 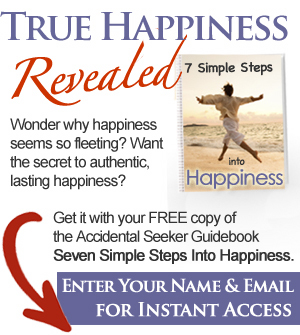 If you’d like more, you’ll find them in the new Accidental Seeker guidebook “Seven Simple Steps Into Happiness”. Head back to the top of this post to download it for free at upper right.